Barbara is a novelist and short story writer. Her 2001 novel, The Oldest Things in the World, won an award from ForeWord magazine. 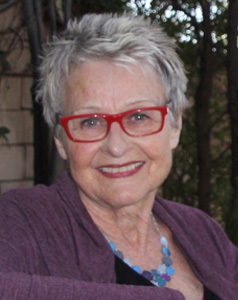 Her short stories and nonfiction have appeared in a variety of publications, including the Los Angeles Times, The Sun magazine, the Birmingham Arts Journal, and the Outrider Press Black and White Anthology series. Her travels in Latin America, India and Africa have often suggested themes or settings for her work. Barbara has enjoyed careers as a business journalist, teacher, and corporate communications consultant. Her favorite books over time include Zora Neale Hurston’s Their Eyes Were Watching God, Toni Morrison’s Song of Solomon, Gabriel García Márquez’s One Hundred Years of Solitude, and Virginia Woolf’s Mrs. Dalloway. 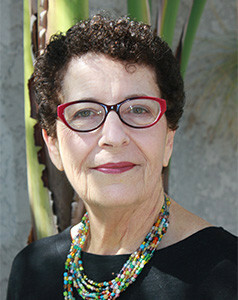 Barbara grew up in Los Angeles, graduated from UC Berkeley and has lived in Long Beach, California, for over 30 years. Bill is a photographer, writer, and editor. His photographs have been published in Long Beach newspapers and on various websites. He is particularly enthralled with nature photography. Birds and whales of many varieties comprise a large part of his portfolio. His travels in North America, Asia, Africa and western Europe have inspired many compelling human images as well. His taste in reading is wide—from crime novels to David Foster Wallace. His favorites include Patrick O’Brian’s Aubrey-Maturin novels and Hilary Mantell’s Wolf Hall. 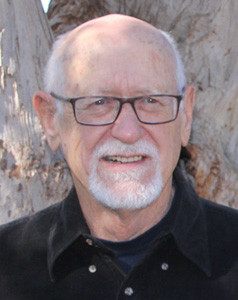 Bill is the only partner in Lagoon House Press who was born in Southern California. He grew up in the San Bernardino Mountains and the San Gabriel Valley. He graduated from California State University, Los Angeles, and has lived in Long Beach for 25 years. Born and raised near Cologne, Germany, Marie studied at Durham University, England, and the SDI, Munich. With a background in applied language studies, she has co-authored three works of lexicography. After emigrating to the United States and raising her three children, she returned to writing, initially poetry. Her book Your Broad Hands Touching Me is forthcoming. Her poems have been included in various anthologies. Besides writing poetry and creative nonfiction, Marie is completing a memoir of her growing-up years in postwar Germany, entitled Daughter of the Enemy. While she attributes her greatest influence to the German writer Christa Wolf, she is an avid reader of contemporary American literature—Marilynne Robinson, Christian Wiman, Louise Glück, to mention a few. Marie resides in Long Beach, California. Garrett is a film, television, and theatre actor who also writes and paints. 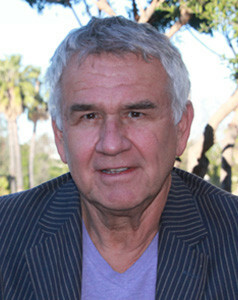 He is a longtime member of Ensemble Studio Theatre in New York and EST-LA in Los Angeles. His plays Ambulance Men and Home by Dusk, and his solo play, Book of Comforts, were produced in Los Angeles. Americana was produced in New York City. A Great Shook Bone (Erotik/Tug), a book of poems, is forthcoming, as is his novel, Tin Sea, and his full length play, Blessure. Besides admiring the writers Rilke, Marguerite Duras, James Salter, and Charles Wright, he continues to love re-reading Hemingway’s A Moveable Feast, Colm Toíbín’s The Master, and Alex Wilkinson’s memoir, My Mentor (about his friendship with the writer, William Maxwell). Born in Battle Creek, Michigan, Garrett grew up in Connecticut, graduated from Amherst College, and lived in New York City for 20 years before moving to Los Angeles. He resides in Long Beach, California.